An engraved Bordeaux glass from Riedel's Crystal is the ultimate gift for the wine enthusiast on any special occasion. 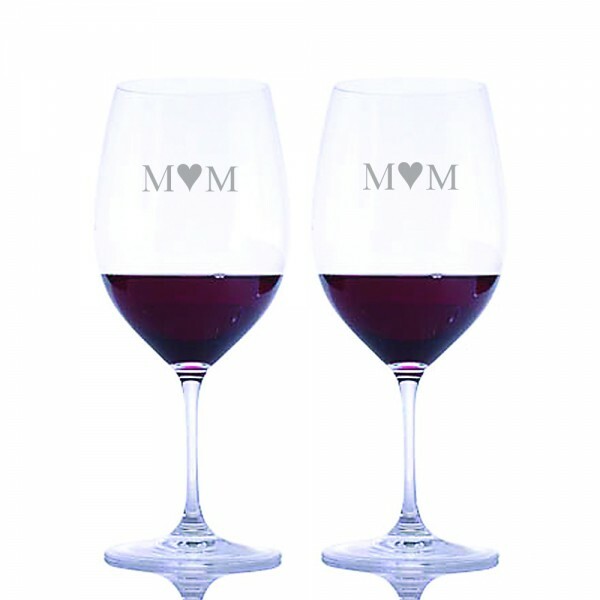 Personalize these glasses to make your gathering festive and enhance the taste of that delicious red wine. If you are looking for a great gift, this is the perfect choice. 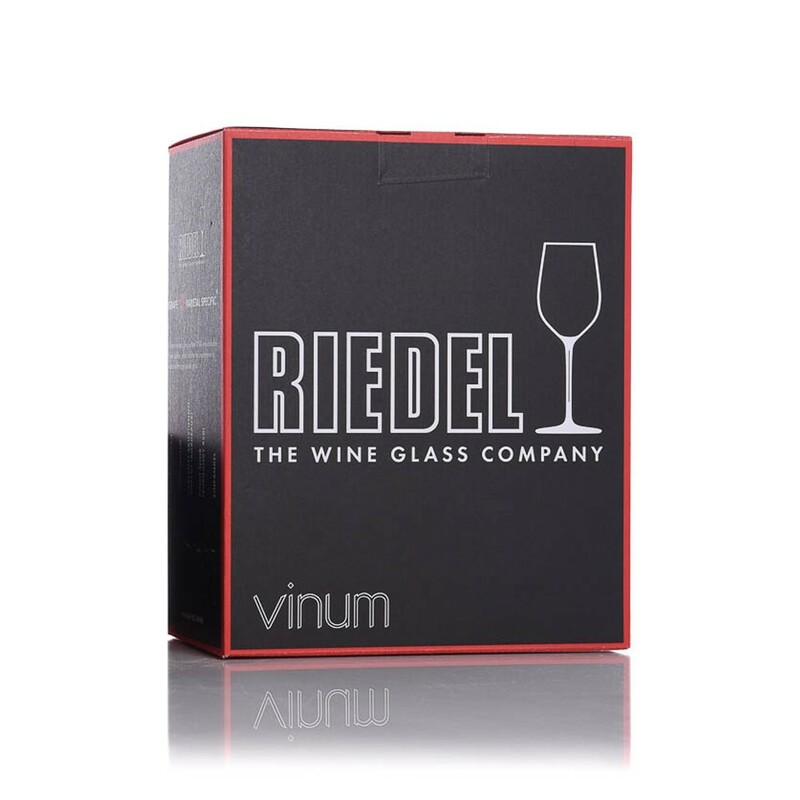 Riedel's award-winning Vinum collection is the first machine-made series of glasses based on the characteristics of grape varietals. Made by Riedel, the worlds foremost producer of wine specific glassware. 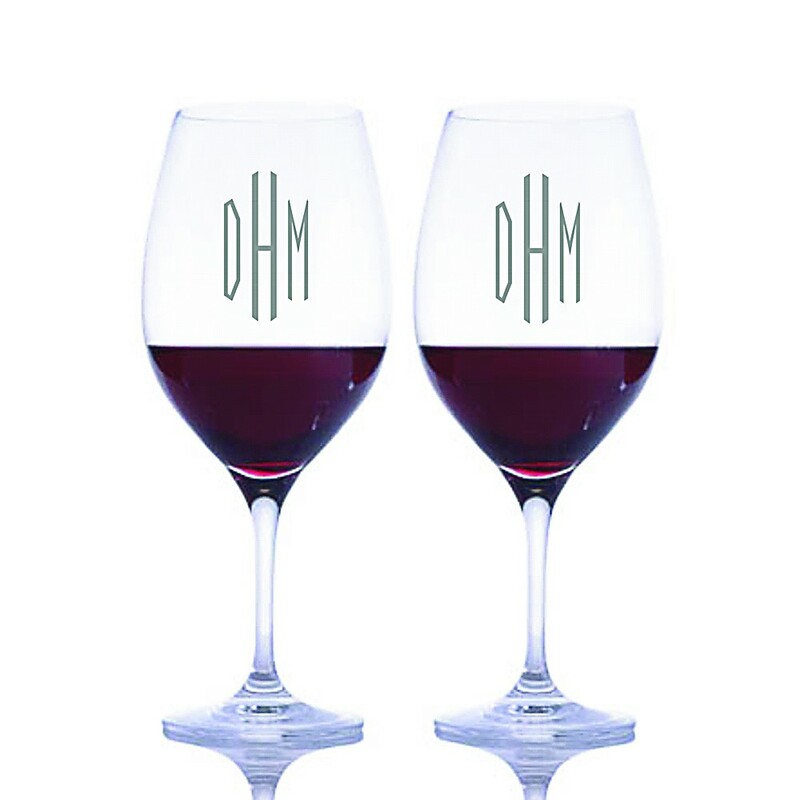 These elegant and well balance glasses are designed to enhance the enjoyment of specific wines and grape varietals. The generous size of this 21.5 oz wine glass allows the bouquet to fully develop and the wine continue to breathe and accentuate the experience. Recommended for Bordeaux, Cabernet Sauvignon, Merlot and most red wines. Created for everyday use, this lead-crystal stemware ensures a perfectly balanced tasting experience. Suitable for dishwasher. Set of 2 glasses. 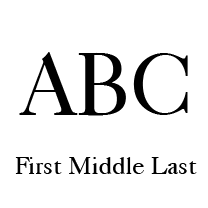 Height: 8-7/8". Capacity: 21.5 oz. 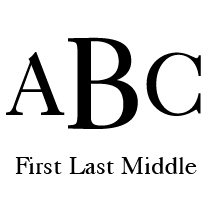 Widest diameter: 3-3/4". Combine with the Reidel Ultra Magnum decanter for a fantastic arrangement, or check out the Riedel Crystal Wine Cabernet For Two Set.